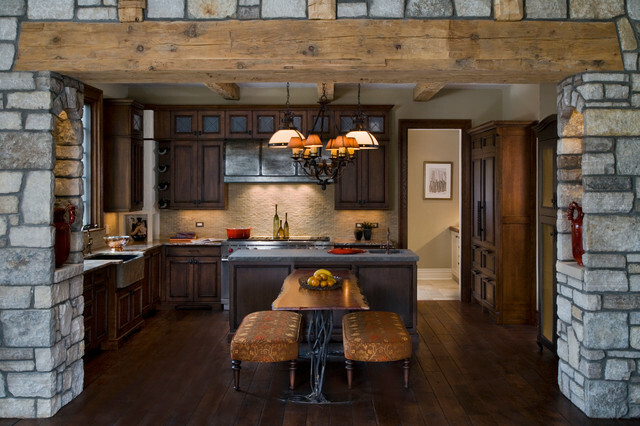 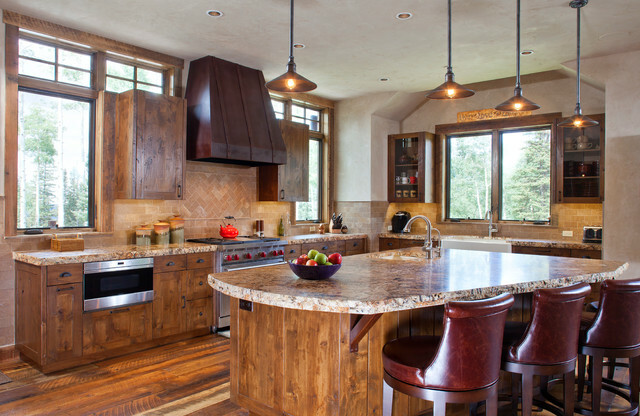 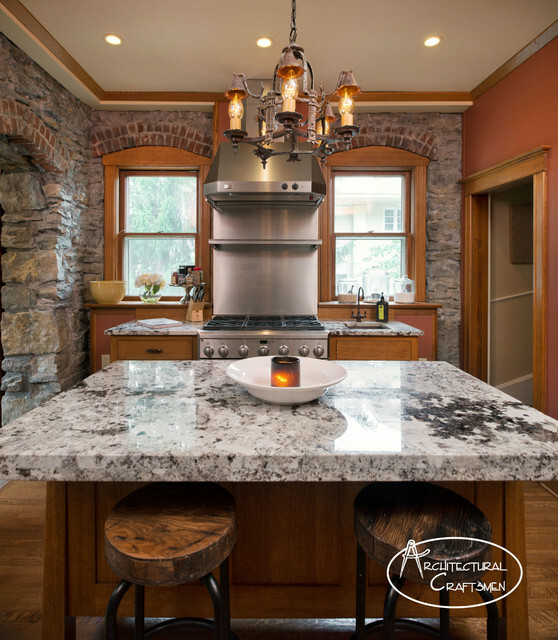 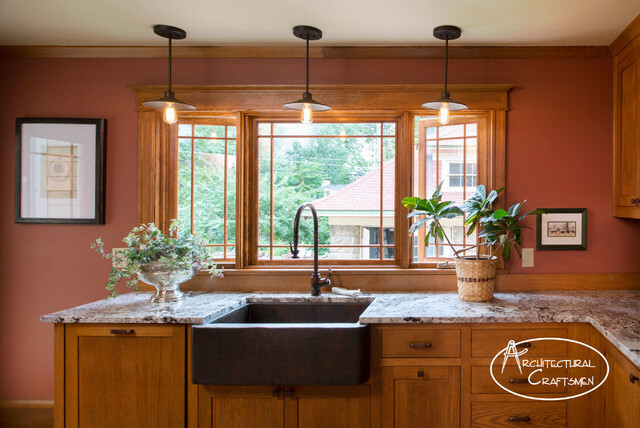 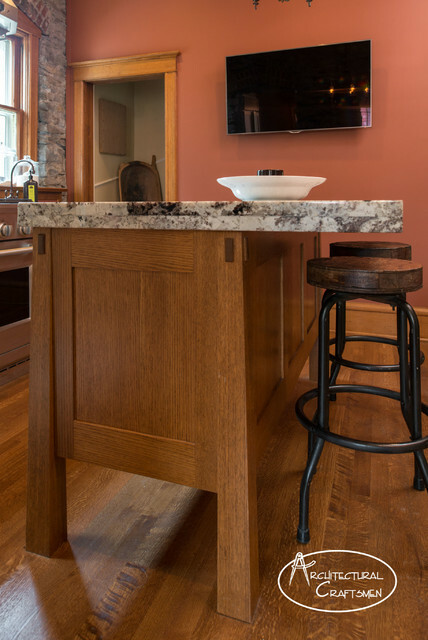 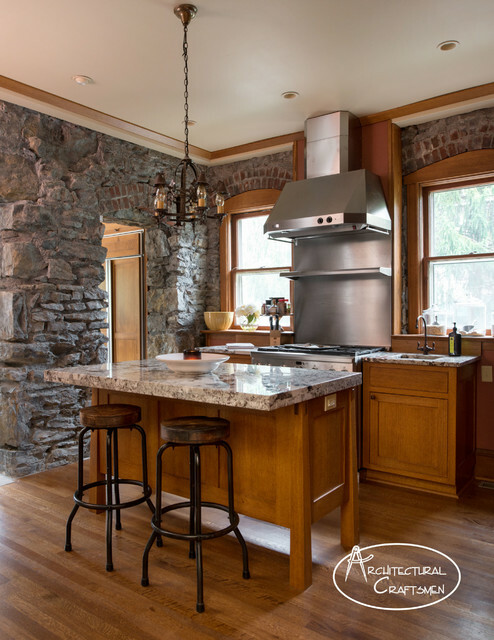 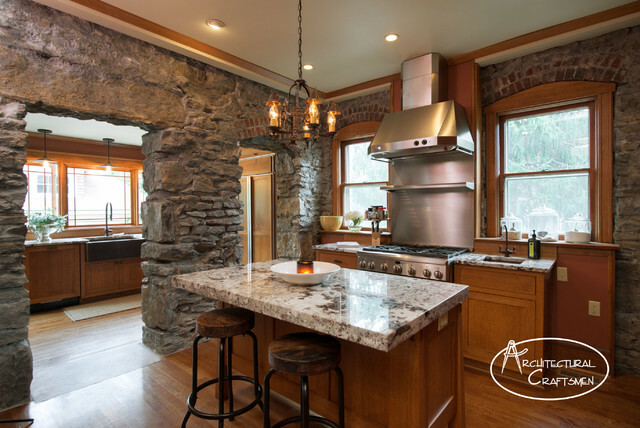 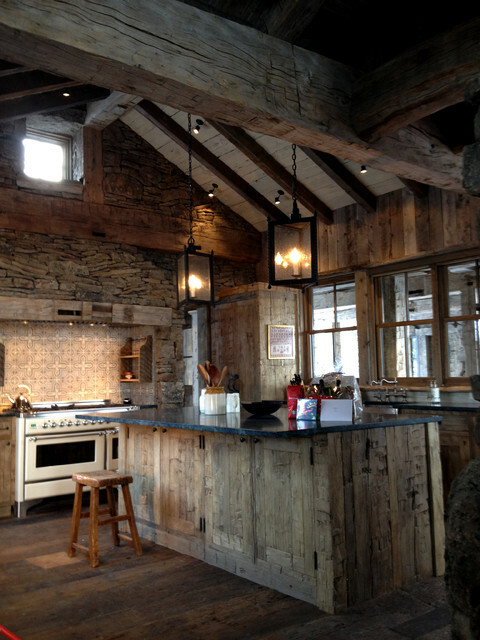 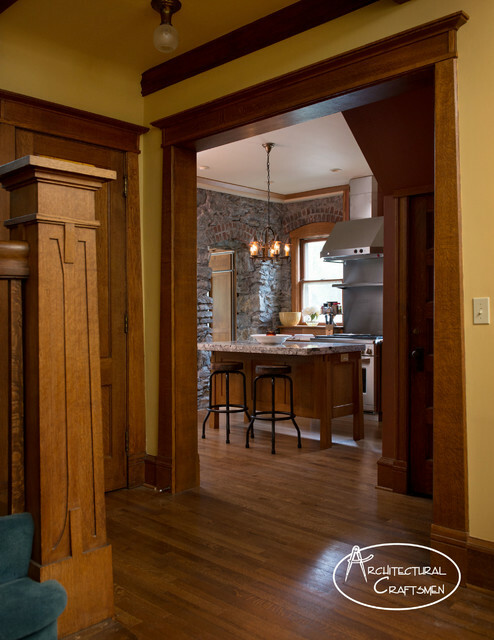 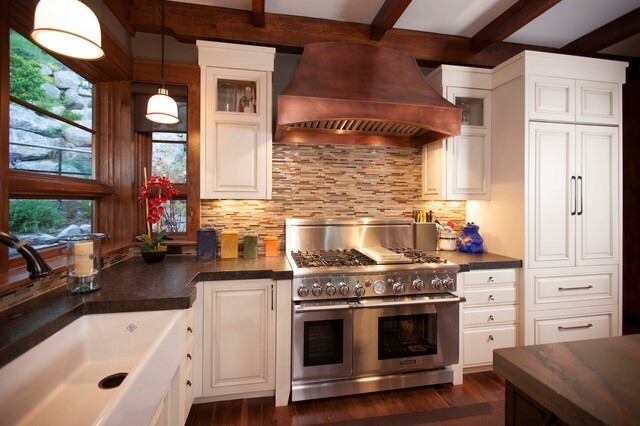 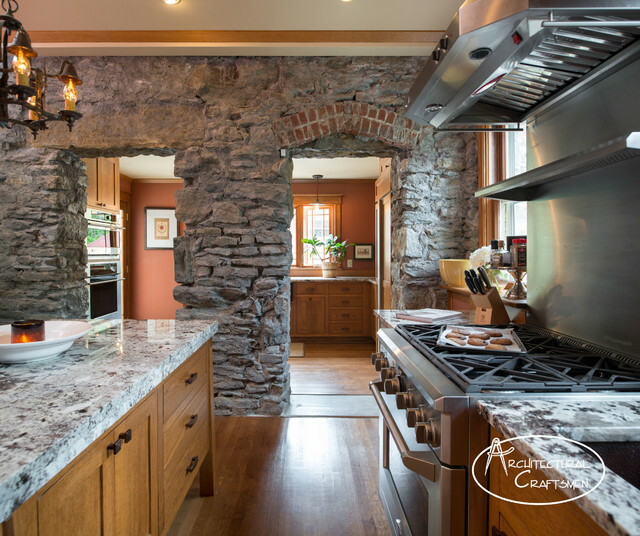 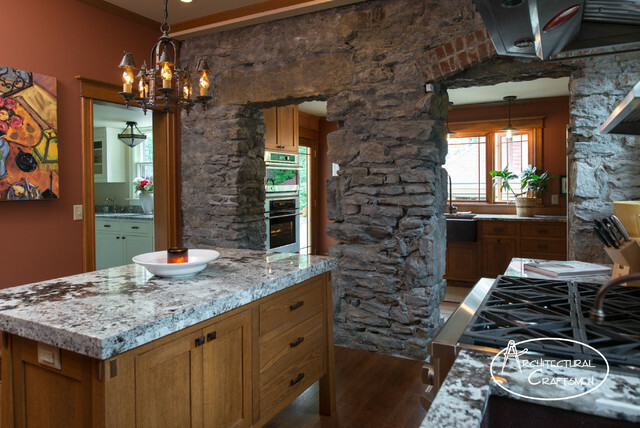 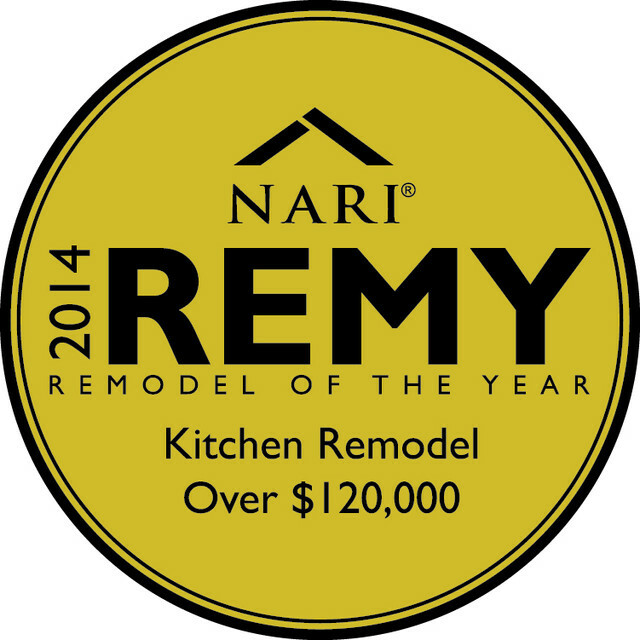 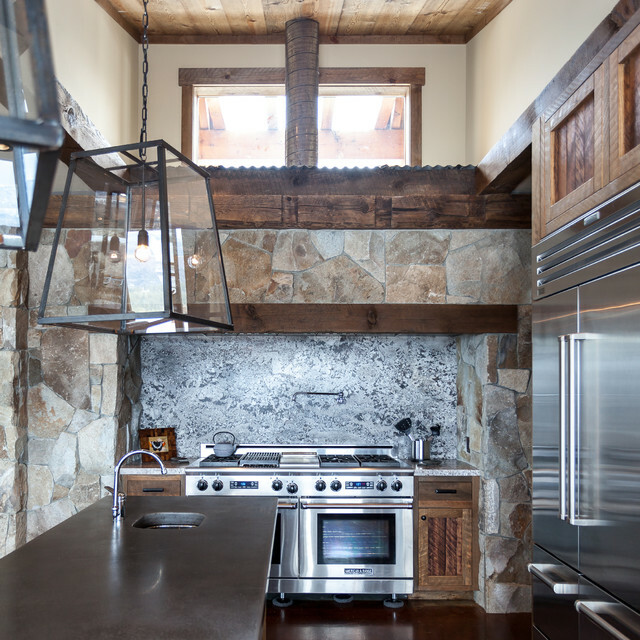 The original idea was to remove the stone wall to make a large open kitchen, but when it was exposed during demolition, our homeowners fell in love with the rustic look. 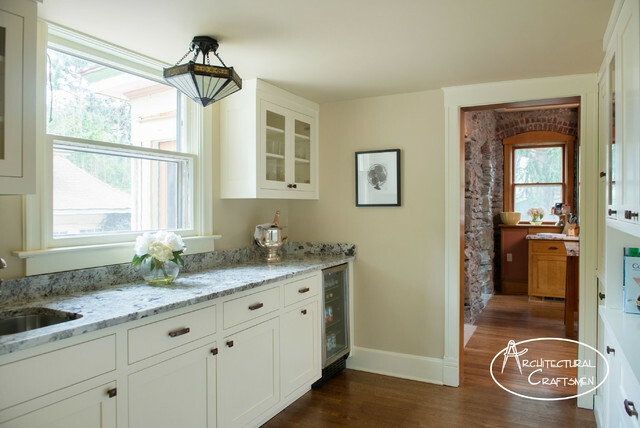 Working with the wall in place, we created two separate areas with different functions. 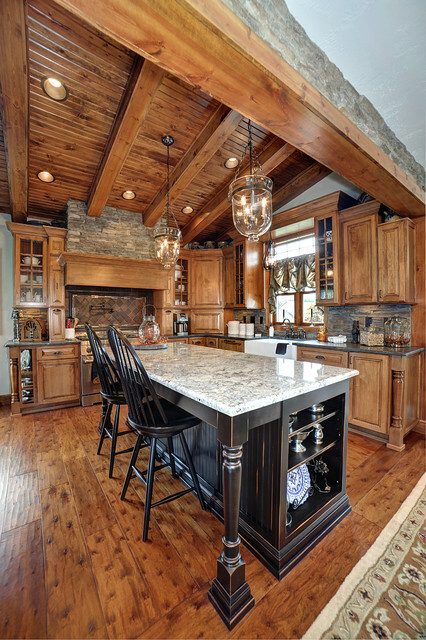 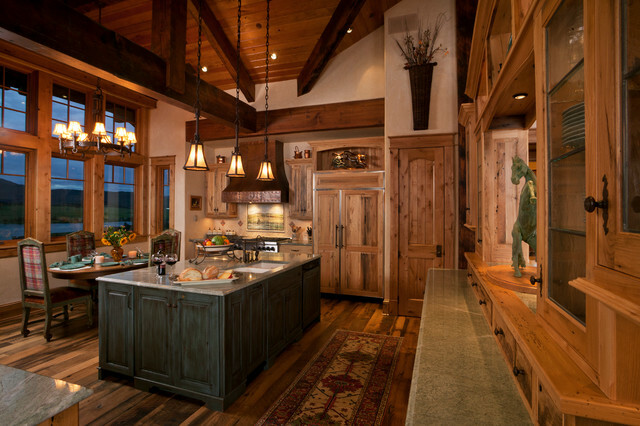 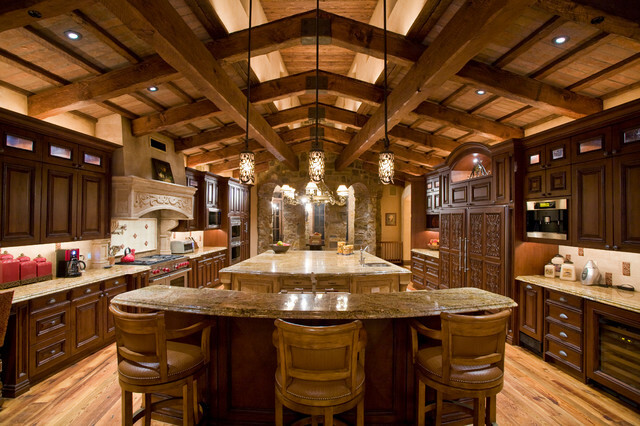 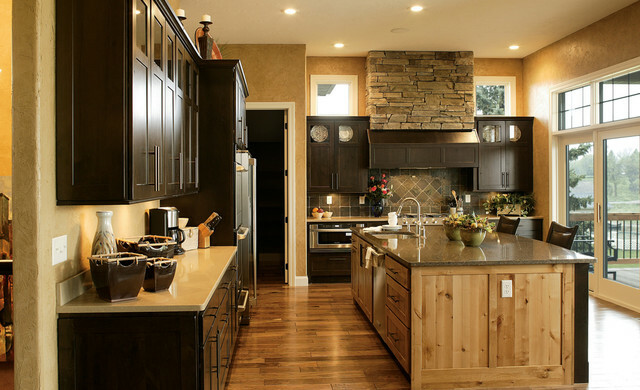 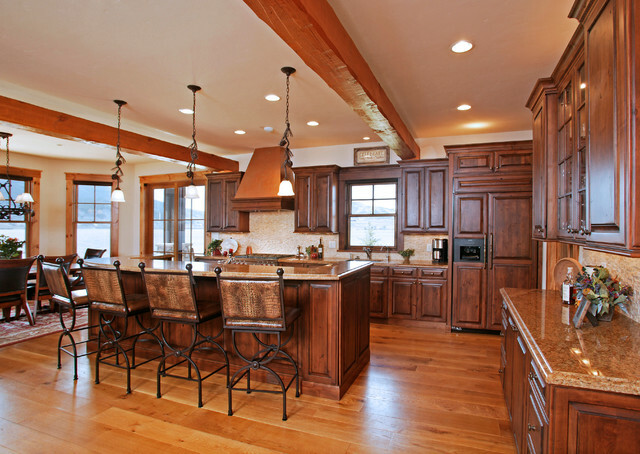 The outer kitchen (shown here) is for entertaining and involving others in the cooking process. 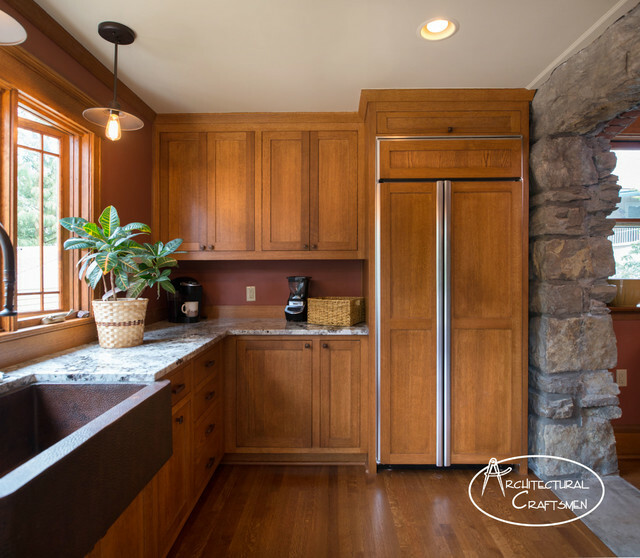 The other area is for food prep and storage and cleanup.